What will be the key industry trends in 2016? Drug pricing is already a key part of the US presidential race and that is likely to intensify as the race hots up. Both the Democrat and Republican nominees will move to solidify policy plans as November’s polling day approaches. When the new President is revealed, US-based pharma companies will brace themselves for the impact of changes to tax laws and pricing regulations. Worldwide, the payer squeeze will be a factor as healthcare systems feel ever more strain. Expect to see NICE rejecting more drugs based on lack of cost-effectiveness as the NHS groans under budgetary constraints. Sales representatives will be under even greater pressure to justify investment in their companies’ products to budget-constrained payers. It is well documented that 2015 was a record year for M&A activity in the sector. It may be that the largest deals have already happened, so we could expect to see smaller but by no means negligible single-billion pound deals, with large pharma companies snapping up innovative biotech start-ups to acquire promising candidates. That said, there will likely be a few mega-money acquisitions hitting the headlines in 2016. Shire will be hopeful of finally tying up a deal for Baxalta in the early part of next year. The spate of collaborations and combination trials seen in 2015 is a trend that will continue into 2016. Immuno-oncology partnerships were hot this year, and should remain so throughout the New Year. The low-hanging fruit for drug blockbusters is long gone, research and development costs are on the rise and pharma’s largest companies are increasingly keen to share the risk and pool their resources in their efforts to find new sources of revenue. With the country having lagged behind Europe for years in this regard, 2015 finally saw the first biosimilar launches in the US and the floodgates should open next year. It is currently tougher to get a biosimilar product past FDA regulators than their counterparts in other countries, partially due to scepticism from the medical community and partially due to complications in naming and licensing guidelines. With pricing a key issue in America, the opportunity to save billions of dollars by the use of 20-30% cheaper versions of biologic drugs will be too good to miss, and the FDA will provide needed clarity on biosimilar approval pathways. The modern patient is better informed about the medicines they use, thanks largely to the vast resource of information on drugs available online in forums and other sources. Pharma is having to react to this new reality and realise that the patient experience matters. Sanofi took steps to this end in 2015, creating the new role of chief patient officer and introducing a three-pillar strategy for patient centricity, based on input and understanding, solutions and outcomes and culture and community. Patient-centric clinical trials have been a hot topic on the conference circuit this year, with organisations like EUPATI advocating greater involvement for the patient in the research and development process, including the planning of clinical trials. In January 2016, the organisation will launch a toolbox to educate patient representatives on the drug development process and foster greater understanding. Giving patients an active role in trial design should boost recruitment, reduce costs and ultimately speed up the road to market. This is a trend that has grown steadily in recent years, and will continue to do so in the second half of the decade. Companies including Merck refined their strategies in key emerging markets like Africa in 2015, and 2016 is predicted by analysts to be the year in which emerging markets account for a third of the global pharmaceutical market. With healthcare and drug costs ever-rising, systems will be forced to look to technological innovation as a means of tightening the purse strings. Apps and wearables that allow patients to monitor their health and symptoms outside of the clinical environment will be important in freeing up hospital beds and keeping healthcare professionals available. The importance of such ‘beyond the pill’ services will grow next year. The ageing populations worldwide are not a problem for the future, but for now, and this will be even more evident in 2016. In the UK, patients will be able to access their full medical records online, and the ability for them to add to these records by uploading data from their health apps and wearables is on the horizon. Elsewhere, the FDA accepted the first New Drug Application for a ‘digital’ medicine in September 2015 – the anti-psychotic drug Abilify with an ingestible sensor attached to monitor patient adherence – and these kinds of digital collaborations between pharma and tech should become more common next year. 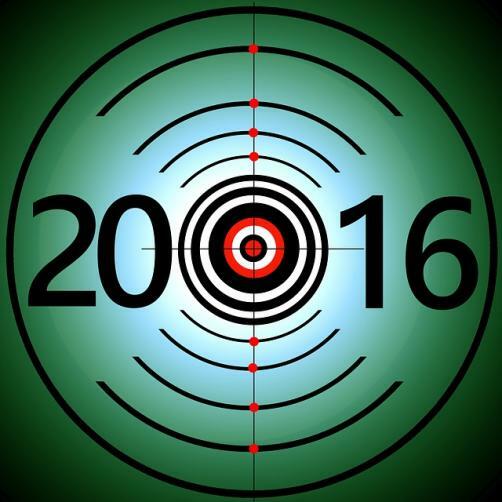 What do you think the key pharma trends will be in 2016? Tell us your views on Twitter by tweeting @Pharmafocus.